Speed limit or Hwy#? – A Blog, A Magazine. It's JustsumInspiration! “Slower than the speed limit? 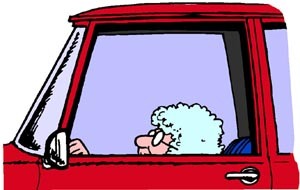 No sir, I was doing the speed limit exactly …Twenty-two miles an hour!” the old woman says a bit proudly.